Are listing brokers legally required to co-broke with buyers’ agents? 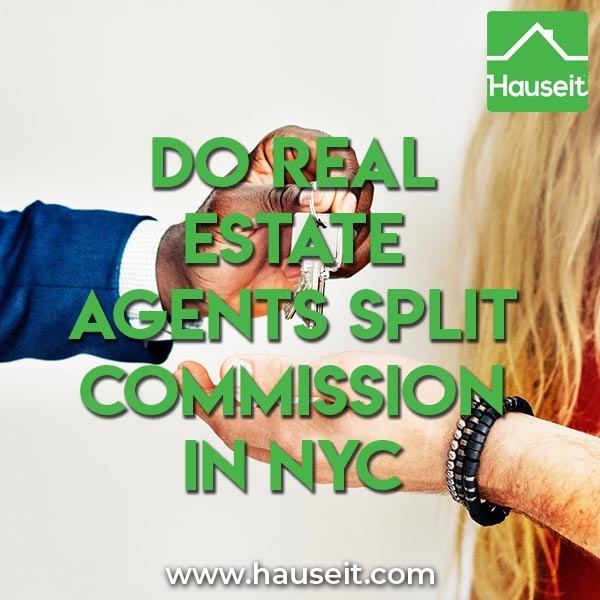 Do real estate agents split commission with each other in New York State and NYC? Contrary to popular belief, listing brokers are not legally required to share commission with buyers’ brokers unless they have an existing agreement in place, such as a MLS co-brokerage agreement. However, it is the opinion of New York’s Department of State that listing brokers must oblige a buyer’s desire to have their own representation. In other words, listing brokers are required to let buyers have a dedicated buyer’s agent if they wish, but they are not required to split commission with the buyer’s Realtor unless the two brokerages have an existing commission agreement in place. So do real estate agents split commission in practice? Yes, because Realtors are members of a local MLS that enforces the splitting of commissions through a mutually binding co-brokerage agreement that each brokerage must sign before joining the MLS. This is a letter from New York State’s Deputy Secretary of State Renato Donato, Jr. in response to a real estate agent’s question regarding co-broking and whether a listing broker was required to work with a buyer’s agent and also share commission with that buyer’s agent. Secretary of State Treadwell has asked me to review and respond to your letter of January 18, concerning the relationship between a listing broker and a buyer’s broker. In prior opinions, the Department of State has stated that a listing’s broker must always honor the buyer’s right to be represented by his or her own broker, and that the listing broker cannot refuse to work with a buyer’s broker. The listing broker is not, however, obligated to share the sales commission with the buyer’s broker unless, prior to the sale, the two brokers have agreed to do so. A listing broker cannot refuse to work with a buyer’s broker because that refusal would deny the buyer the right to be represented by the broker of his or her choice. Any such denial by a listing broker will be construed by the Department of State as a violation of the listing broker’s duty to deal honestly, fairly and in good faith with the buyer. In addition, a listing broker cannot honor the seller’s instruction not to work with buyer’s brokers because compliance with that instruction would also violate the listing broker’s duty to deal honestly, fairly and in good faith with buyers. If a seller chooses to use the services of a real estate broker, the seller must do so with the understanding that the broker cannot refuse to cooperate with real estate brokers who represent buyers. With regard to showing the property, the buyer has the right to have the buyer’s broker present when the property is shown to the buyer, and the listing broker cannot impose any conditions that would frustrate buyer representation or place unnecessary obstacles in the path of buyer representation. These general rules apply to all listings, including open listings, MLS listings and office exclusives. I hope that this information is helpful. If you have any further questions about these issues, please call me at [redacted]. Do Real Estate Agents Split Commission with Brokers Who Are Not Part of the MLS? Just because you have a broker’s license does not mean that listing brokers must share their commission with you. You must also be a member of the local MLS, or REBNY if you’re looking to purchase in New York City. This fact is often misunderstood by lawyers who also happen to have a broker’s license on the side. Just because you are licensed does not entitle you to an automatic co-broke! That’s why it’s important to work with a trusted buyer’s broker who is a member of the relevant local MLS in order for you to receive a buyer’s broker commission rebate. 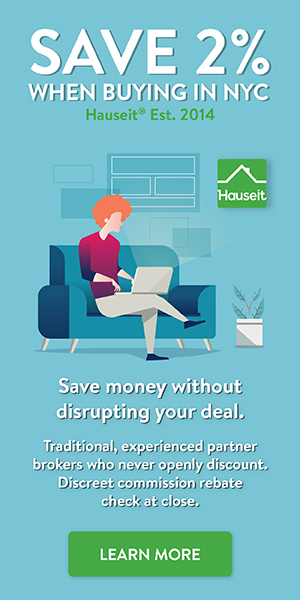 Hauseit partner brokers are members of REBNY, the Hudson Gateway MLS and/or the Long Island MLS. As a result, you’ll never be in the uncomfortable position of finding out that a listing broker refuses to co-broke with your buyer’s agent! Our partner brokers cover Westchester, Bronx, Orange, Putnam, Queens, Dutchess, Ulster, Rockland and Sullivan Counties through the HGMLS. Our partner brokers also cover Nassau, Suffolk and Queens County through the Long Island MLS. And of course, New York City is covered through our REBNY Member Partner Brokerages.